A native to Calgary, Dr. Cheung has been working in the dental field for over 10 years. Her journey commenced after she obtained her Bachelor of Science in biology; when she began working as a sterilization technician and chairside assistant at a dental clinic. 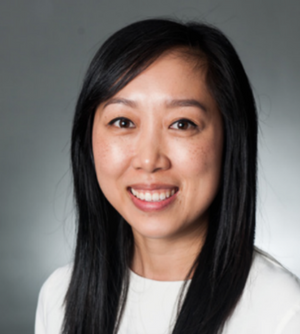 Dr. Cheung developed her passion for dentistry here and went on to pursue her dental hygiene degree in Vancouver at the University of British Columbia. After practicing as a dental hygienist for a few years, Dr. Cheung decided to return to school to become a dentist. She wanted to be able to do more for her patients. Her journey lead her on an adventure to Australia, where she received her Doctor of Dental Medicine degree from the University of Sydney. While studying dentistry, Dr. Cheung participated in extracurricular elective programs in endodontics and emergency dentistry. She also completed a rural placement where she served communities with limited access to dental care. With a passion for serving the community, Dr. Cheung has travelled to Cambodia on a volunteer dental mission to provide dental care to marginalized populations. This is something that she wishes to continuing doing in the future. Outside of dentistry, Dr. Cheung enjoys travelling and spending time in the outdoors. She has a passion for food and cooking. Recently, she has been taking time to learn more about gardening and the temperaments of various plants.